​Mr. 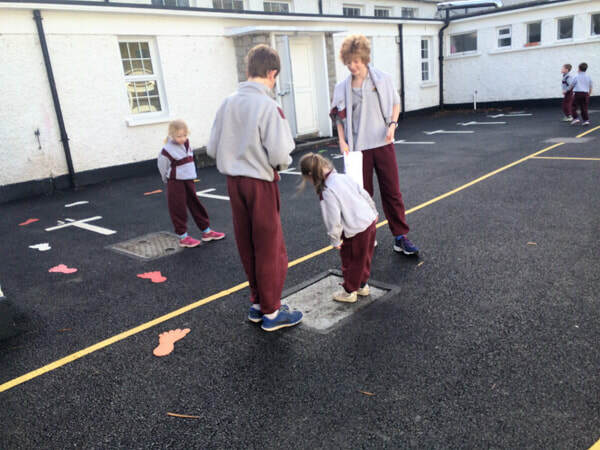 O’Dwyer’s fifth and sixth class were wonderful during Maths Week. 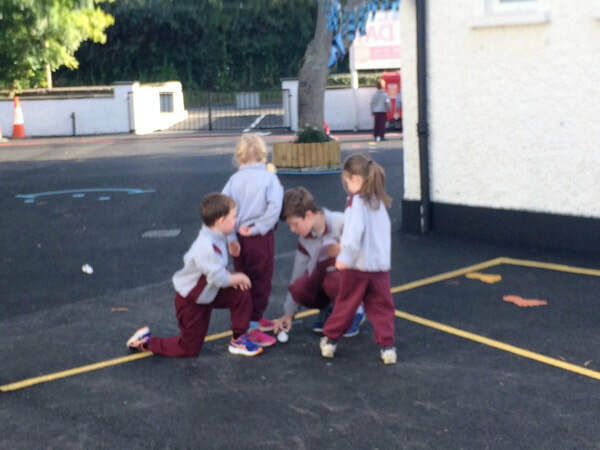 They brought the Junior and Senior Infants on a maths trail around our beautiful yard. The children had great fun finding lots of shapes in the environment and also some extra ones which had been placed there secretly. Check out the gallery for more photos and also the STEM section of our website. 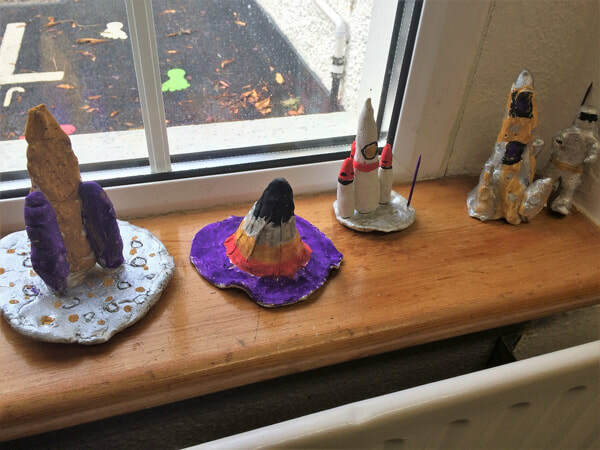 During Space Week 5th and 6th made some amazing rockets and astronauts out of clay. They really are so creative!! 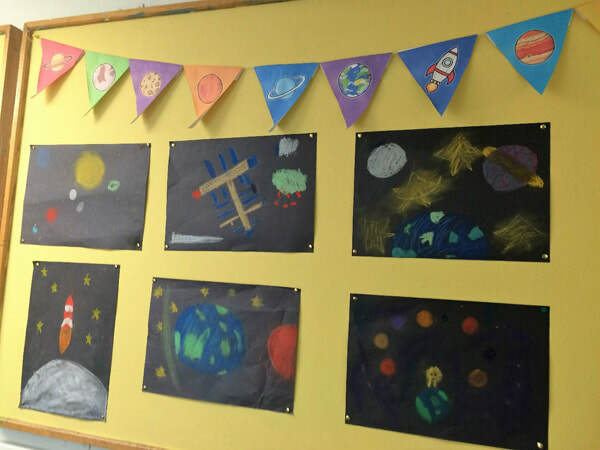 The class did some pretty wonderful chalk drawings for Space week too. 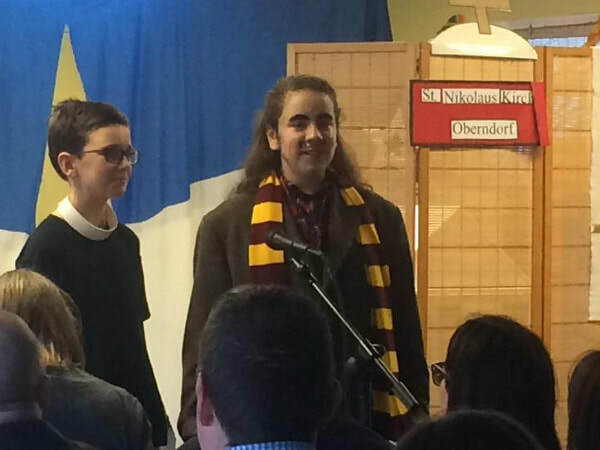 Check out the STEM section of our website, for more information on all their activities. 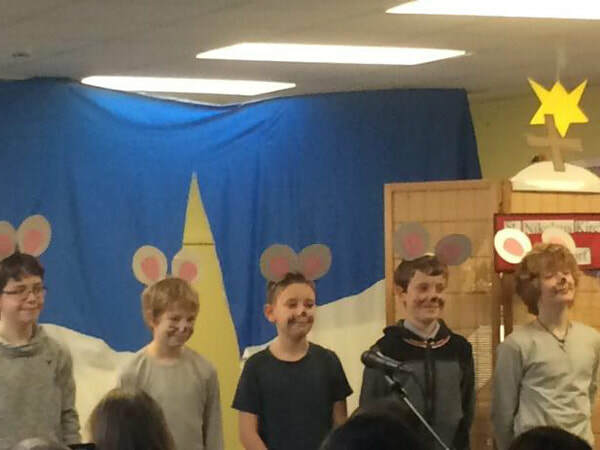 The class put on a terrific show at Christmas outlining the origins of the song “Silent Night”. It was very beautiful and very poignant. 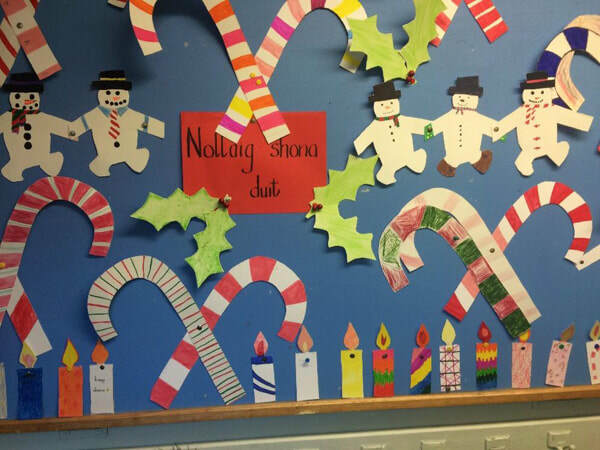 The children also really enjoyed making their Christmas art of candles and candy canes. 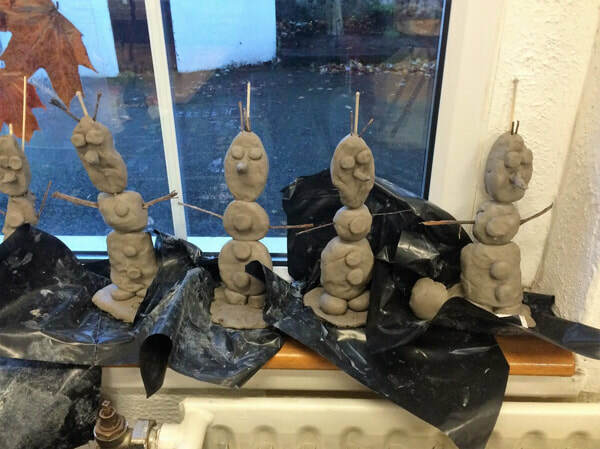 Catherine Behan came in and helped the children make some wonderful clay depictions from the movie “Frozen”. 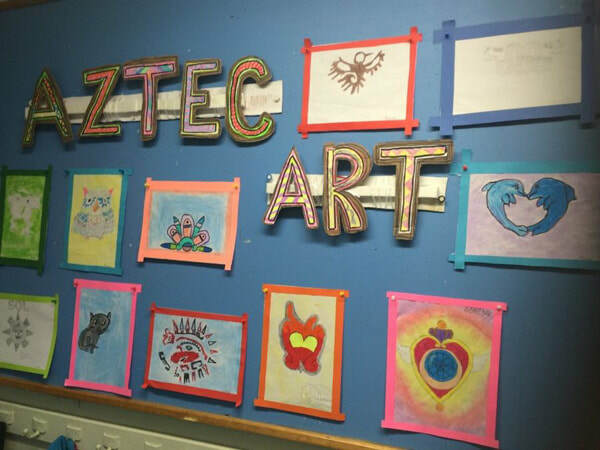 Fifth and Sixth have been learning about the Aztecs and they have done some lovely artwork on the theme. 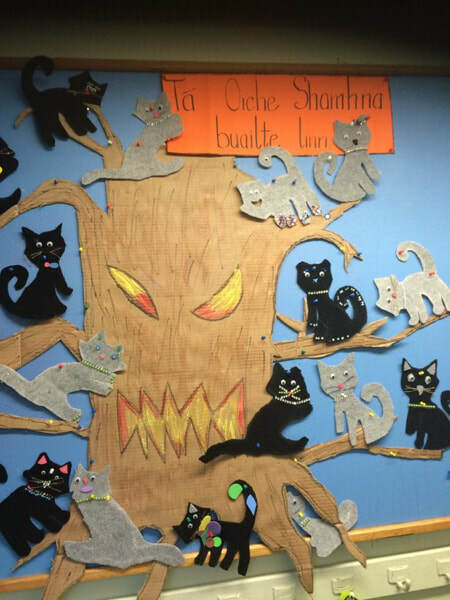 Wonderful Fabric and Fibre Hallowe’en art. 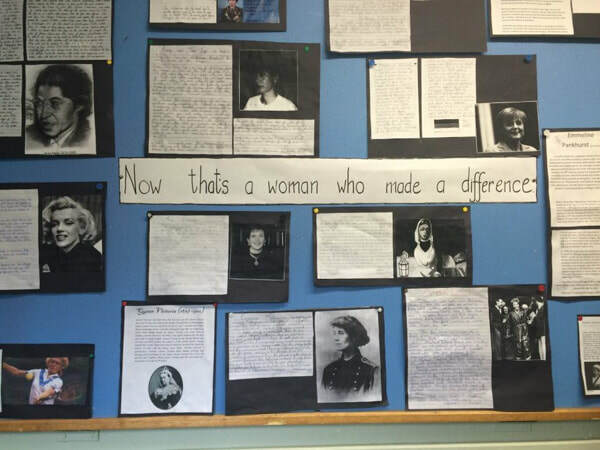 During September 2015, Fifth and Sixth have been learning about Women who made a difference in our lives. 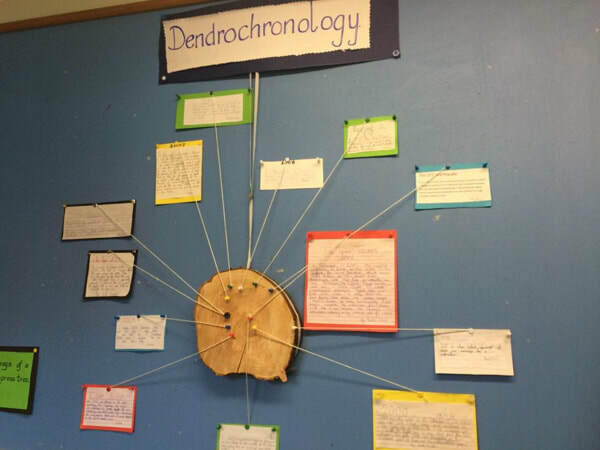 They also learnt about Dendrochronology and wrote about different events that happened during the life time of a particular tree. Our vegetables are coming along nicely and we have planted out our lettuces into grow bags. Our potatoes are shooting up very fast and they are planted in our vegetable plot. When our carrots and parsley get a little hardier we will plant these out too. 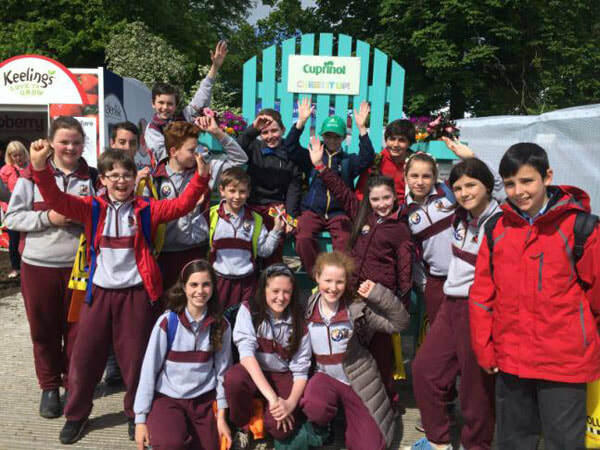 What an incredible day we had on 29th May 2015 when we headed off to `Bloom’ in the Phoenix Park. It was an amazing day and we absolutely loved all the show gardens. Agri Aware gave us lots of talks on mushrooms, potatoes, herbs, cattle and sheep . Check out the Gallery for more pictures. At present we are in training for Santry Sports which take place on 26th May. 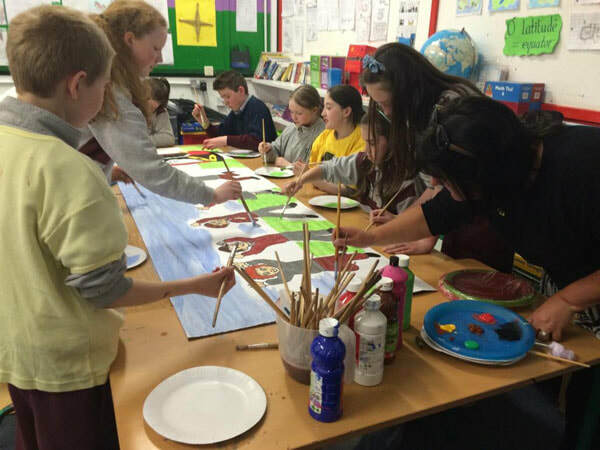 We enjoyed making a beautiful banner with the help of Catherine and Mick –check out the Gallery for more details. We are currently working on our Incredible Edibles Project. 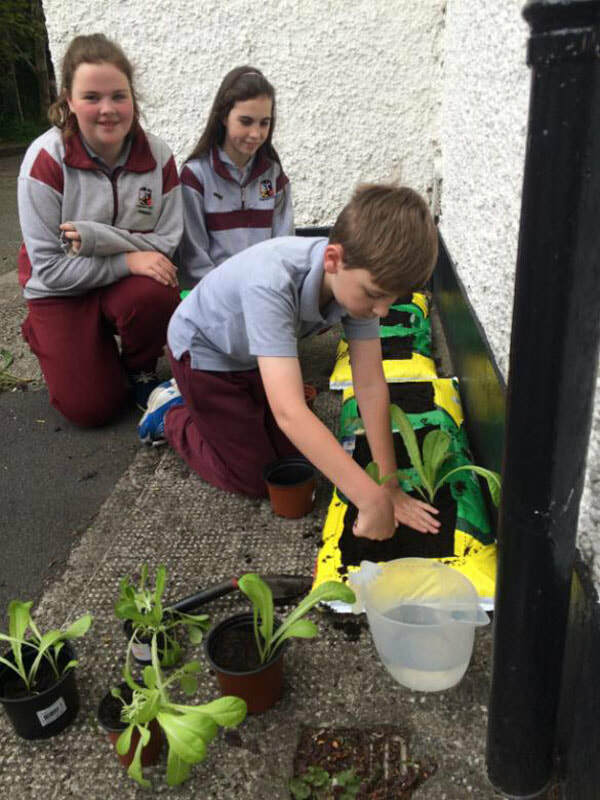 We have planted lots of seeds – carrots, lettuce, turnips and parsley. We have planted strawberry plants and potatoes in our vegetable beds. We are looking forward to visiting Bloom in the Park on 29th May 2015. We are busy shopping for vegetables with the Quality Irish Mark and we have been making up recipes which use vegetables and fruit. 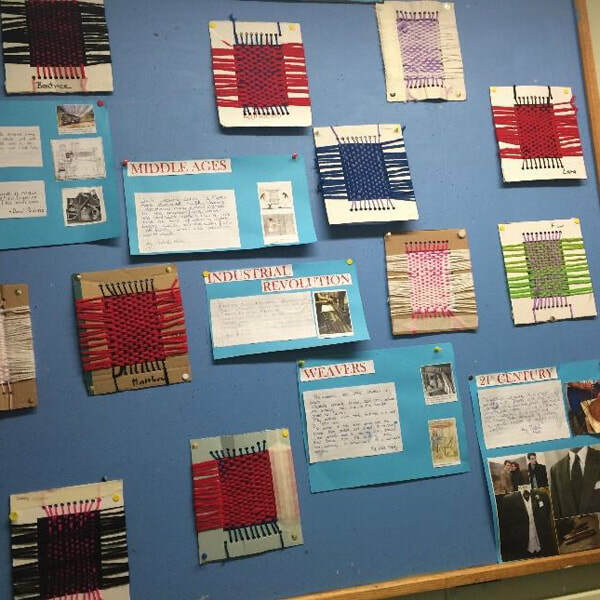 During March 2015, we enjoyed learning about Morse Code and we tapped out messages on our electric telegraph. 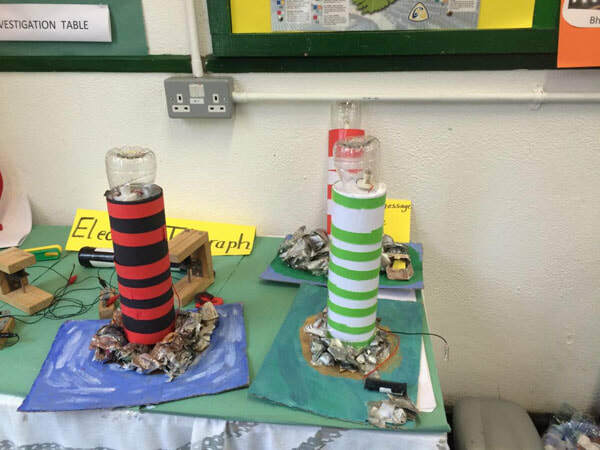 We then worked in groups to make some working lighthouses. We even made some switches using our knowledge of electrical circuits and conductors of electricity.